"Roy race row" sounds like an old comic strip tale about the Melchester Rovers hero, but it was actually a chastening reminder of the cruelly ephemeral nature of football success. While still basking in the achievement of England's qualification for the World Cup, England manager Roy Hodgson found himself on the front pages, being accused of racism. It seems a strange charge to level at the mild-mannered and bookish England manager, but it seems he might have been guilty of a rather eccentric choice of words at half-time in the final qualifier against Poland. Hodgson told the players a bizarre old joke about a NASA expedition crewed by a monkey, with the punchline "feed the monkey", using it as an analogy to encourage his players to get the ball out to winger Andros Townsend as often as possible. 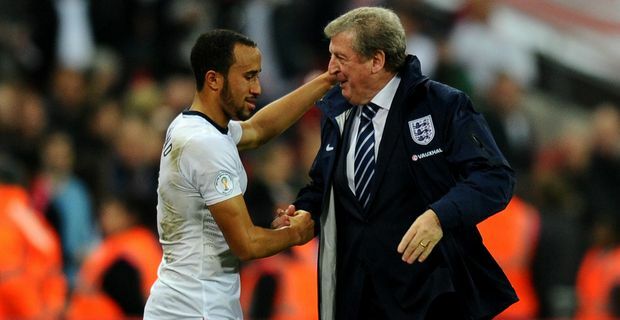 Hodgson insisted that he meant nothing offensive by the remark, that Townsend had not taken offence, and that the issue had been blown out of proportion. "I would like to apologise if any offence has been caused by what I said at half-time," Hodgson said. "There was absolutely no intention on my part to say anything inappropriate. I made this clear straight away to Andros in the dressing room. He has assured me and the FA he did not take any offence, and understood the point I was ­making in the manner I intended." Wayne Rooney backed up the manager. "Seen the story on Roy this morning," he tweeted. "He done nothing wrong. This is ridiculous." Former England striker Stan Collymore also suggested that no player would have been offended by the remark. "Racism is hard enough to keep on the agenda as it is without making everyone think a legitimate space tale should be a cause for offence," Collymore argued. Hodgson is smart enough to realise that the story might fade away, but its very existence is worrying. It demonstrates that someone within the England camp was motivated to leak the story with the clear understanding that it would damage the manager. While Hodgson has made a point of singling out the team ethos that has developed between the old guard and the younger players, this is a clue that there remain some players who are unhappy with the regime.